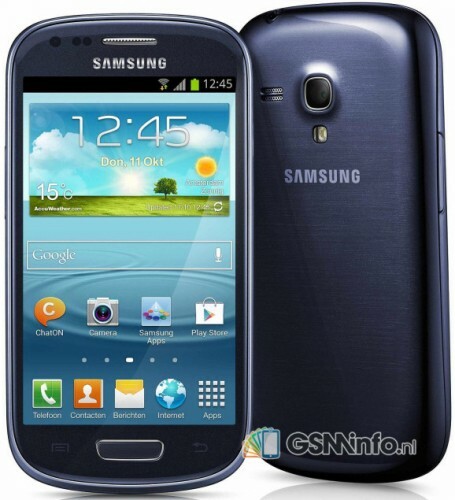 Samsung has gone ahead and quietly released a new budget smartphone, dubbed the Galaxy S III mini Value Edition in Netherlands. As the name suggests, the device is a Galaxy S III mini on steroids. In case you don’t remember, the Galaxy S III mini was released a one and half years earlier. The Galaxy S III mini Value Edition brings an updated chipset and a newer Android version than its predecessor. The Galaxy S III mini Value Edition brings an updated dual-core 1.2GHz Cortex-A9 processor and Android 4.2.2 Jelly Bean. The rest of the specs remain the same. There’s a 4-inch WVGA (800×480) display, 1GB RAM, 8GB internal storage with microSD expansion, a 5MP primary camera and a VGA front facing camera. The device is already on sale in Netherlands at the cost of around €180. We don’t know yet if the device will ever come to the rest of the world but if you were to ask me then the answer would be no. Anyways, we’ll let you know if I am proved wrong.